The 2018 election for U.S. Senator from Texas was between the incumbent, Republican Ted Cruz, and challengers Democrat Beto O'Rourke and Libertarian Neal Dikeman. Cruz recieved 51.0 percent of the vote, while O'Rourke received 48.3 percent. This means Cruz won by a 2.7 percent margin. 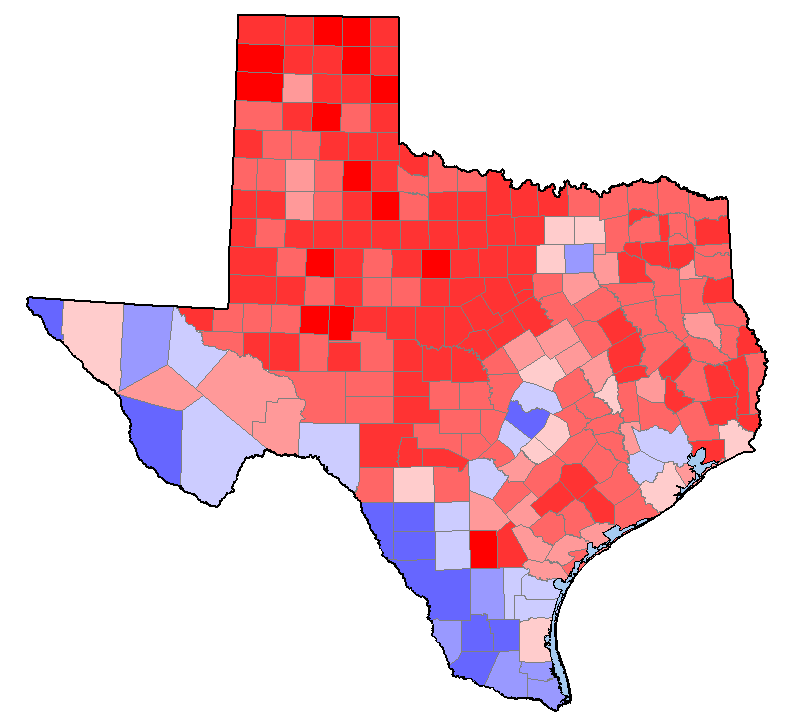 The map and table below show the margin of the popular vote between the Republican (Cruz) and the Democrat (O'Rourke) in each county.